A real life story of how of POC EID devices strategically placed at the point where they are direly needed testing for HIV exposed infants in Malawi, are great impact for the infants and their families. Infants born to or breastfed by HIV positive mothers are in need of timely HIV because risk of mortality is highest in the first weeks to months of life . Nearly half of the babies. In 2017, only 51 percent of all HIV-exposed infants were tested for HIV within the recommended first two months of life and only 52 percent of children living with HIV received life-saving ART. For details read full story here. 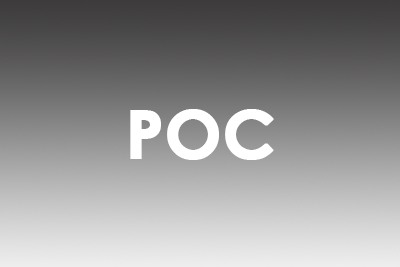 Based on the recent encouraging evidence POC/ near-POC EID warrants consideration of rapid adoption and strategic scale up of this solution complementing the existing laboratory network. Ravikiran Bhairavabhotla from CDC briefly outlines the evidence and tools to support the strategic introduction of POC EID as part of a tiered national laboratory network. To reduce morbidity and mortality among HIV-infected children and close the treatment gap for HIV-infected children, there is an urgent need to evaluate existing programmatic and laboratory practices for early infant diagnosis and introduce strategies to improve identification of HIV-exposed infants and ensure access to systematic, early HIV testing, with early linkage to treatment for HIV-infected infants. This article describes progress made in follow-up of HIV-exposed infants since 2006, including remaining unmet laboratory and programmatic needs, and recommends strategies for improvement, especially those related to the implementation of point-of-care technology for early infant diagnosis. virological testing of infants for HIV. Sufficient evidence has been generated on the performance of these assays in the intended field settings to support rapid national regulatory approval and initiation of scale-up. Performance was consistent between laboratory and field settings, and across countries. Further technical evaluations of these technologies are unlikely to add value, but may instead delay implementation and timely diagnoses of HIV-infected infants, a critical and vulnerable population. National regulatory agencies are encouraged to not delay adoption by conducting further evaluations, but instead adopt a rapid and streamlined registration and national approval process for immediate implementation.